It's summer in Australia, so get those summer looks, splash on some sunscreen and hit the beaches. Here are some summer essentials and I'll start with the cliche. Ditch that old swim suit or bikini & get some not so cliche swimwear. I've come to like seafolly designs, they are pretty eye catching and they bring out the colour of your skin. I particularly like the 1 piece swimsuit by L Space, there a touch of elegance & fierceness despite the simple colours used. Maxi Dresses seem to be flooding the stores and fashion outlets. I love looking at them, however I'd never really buy and wear one because I'm too short to pull them off. Stick to knee or above the knee length dresses if you're not tall enough. However, the maxi dresses are worth the try if you're tall enough, I've seen many pulling them off just fine. They are gorgeous for your summer wardrobe. I got this pictures from Bracewell,they have really nice summer wear. I've included the link. Never leave your pair of sunnies at home. This should always be in your car or hangbag, glares from the sun can be an eyesore, and I mean literally. Designer sunnies may be pretty flash, but as for me, I would'nt spend that much as I'd probably loose them. Try on some aviators as well. I've found some on offer at the Armani Exchange. Straw bags usually look good when paired with a summer sun dress or with sleeveless tops and shorts. They give a more beach like feel and appearance. Amongst the other Coach strawbags,I'm particularly fond of this design. 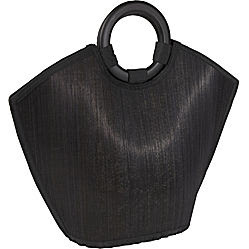 If you are looking for something less costly and less structured, this black straw bag would do the trick. I just wish that it came in different colours, particularly the original straw colour. 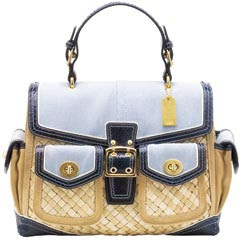 I found it on ebags.